I’ve been doing UNDER $100 clothing roundups for awhile now, but for some reason it never occurred to me to do home roundups in the same way! 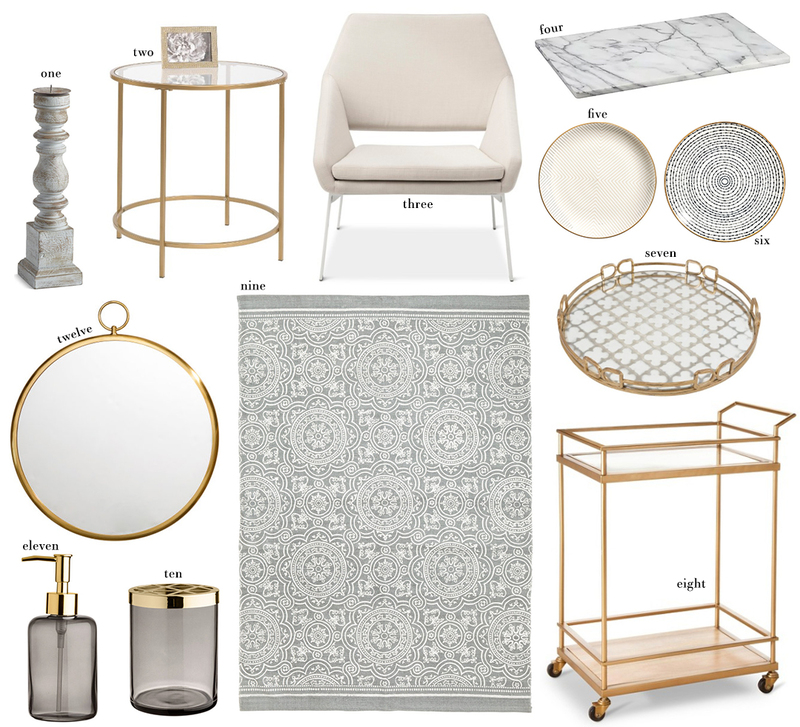 Especially now that I’m posting house updates on here and Instagram, I figured it would be helpful to share some more budget-friendly furniture, decor and tabletop items for those of you going through the same process I am. Hope you guys enjoy this first installment! Love your decor picks! Even better that these are budget friendly! I had no idea that H&M sold home goods! Good to know! Loving that pretty patterned rug! I kind of want ALL of this for my house too!